Celebrations continue after Bafana Bafana qualifies for AFCON - SABC News - Breaking news, special reports, world, business, sport coverage of all South African current events. Africa's news leader. The 2019 AFCON tournament in Egypt runs from the 15th of June to July 13. The South African men’s soccer team will make a welcome return to the Africa Cup of Nations tournament after missing out in Gabon in 2017. The last time Bafana Bafana qualified for the AFCON tournament was in 2015 under former coach Shakes Mashaba. South Africa had a good track record of qualifying for Africa’s premier tournament, but things went pear-shaped from 2010. Coach Stuart Baxter and his boys had good reason to celebrate after the much needed victory over Libya. It was a team under pressure, but Bafana managed to qualify for only two of the last five editions of the Africa Cup of Nations. And in 2013 when they qualified as hosts, they were knocked out in the quarter-final on home soil. They also failed to qualify for the 2018 FIFA World Cup in Russia. Even though Bafana Bafana just needed a point against the North Africans, they went all out for a win. “We knew that to get the tactical game plan right and have the nerve to execute it that’s a difficult task when people have always accused Bafana of not being able to succeed in those circumstances. I thought the players first of all showed a lot of character,” says Baxter. 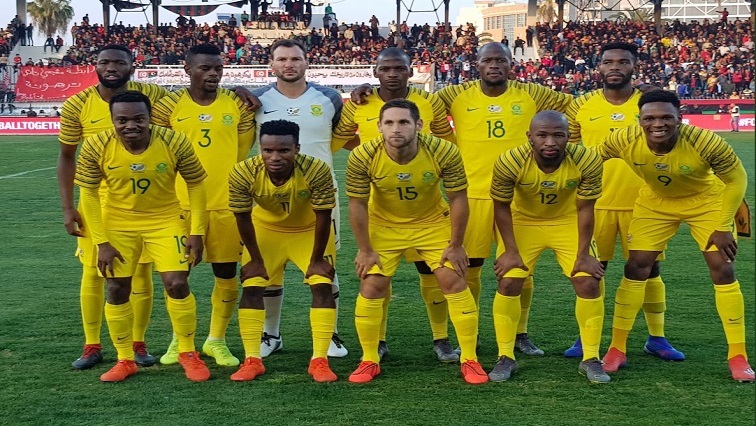 Even though Bafana Bafana had a good start in their qualifying campaign, the two unnecessary draws against Libya and minnows Seychelles in Group E put them under a lot of pressure. South Africa finished as runners-up to Nigeria in the group with 12 points, with three wins and three draws. SAFA president Danny Jordaan says, “This team is unbeaten. It’s the only team in the group that remain unbeaten until the end. We only played two draws we won the other matches. We beat Nigeria away, and now we beat Libya away, so it must say something about the team’s ability to perform when the chips are down”. The supporters were also impressed, “Bafana Bafana qualified for Egypt not via back doors they qualified because they beat Libya away from home just imagine. “We are excited that Bafana Bafana has won go boys go boys well done”. Bafana Bafana’s strongest area in their qualifying campaign was their defence. South Africa conceded just two goals – which is the least number of goals in Group E.
This entry was posted on 25 Mar 2019,06:23PM at 6:23 PM and is filed under Sport, Soccer, News, Homepage Featured Story Slider. You can follow any responses to this entry through the RSS 2.0 feed. Both comments and pings are currently closed.